Purified water, vegetable glycerin, citric acid, natural cranberry flavor with other natural flavors, natural blueberry flavor with other natural flavors. xanthan gum, mixed tocopherols. Plant-derived capsule, cellulose, magnesium stearate, silica. Purified water, vegetable glycerin, citric acid, natural cranberry flavor with other natural flavors, natural blueberry flavor with other natural flavors, xanthan gum, mixed tocopherols. Take 2 tablespoons (30 mL) daily. Dried cane syrup, organic tapioca syrup, pectin, sodium citrate, citric acid, fractionated (non-hydrogenated) coconut oil, beeswax. Recommendation: Chew 2 gummies daily. If pregnant, nursing or taking any medications, consult a healthcare professional before use. Keep bottle tightly closed. Avoid excessive heat and direct sunlight. 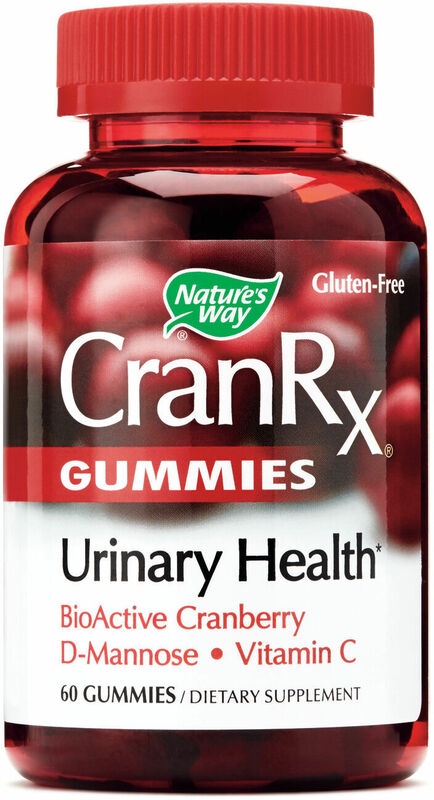 -Type-A PACs (proanthocyanidins) are key BioActives found in cranberry fruit that help support urinary tract health. 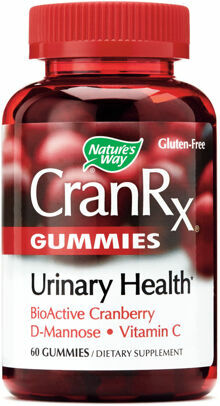 -CranRx contains unique varities or cranberry, including Early Black that has a higher potency of PACs. Gluten-Free. Contains no yeast, soy, wheat, eggs, dairy, artificial colors, artificial flavors or preservatives. Other ingredients: Purified water, Vegetable glycerin, Citric acid, Natural cranberry flavor with other natural flavors, Natural blueberry with other natural flavors, Xanthan gum, Mixed tocopherols. If pregnant, nursing or taking any medications, consult a healthcare professional before use. Store in a cool place. Keep tightly sealed. Refrigerate after opening. Keep out of reach of children.